I just finished my second unit of Pencils & Play Learning Curriculum, and I wanted to give you an in depth look! This unit is all about numbers 1-10. 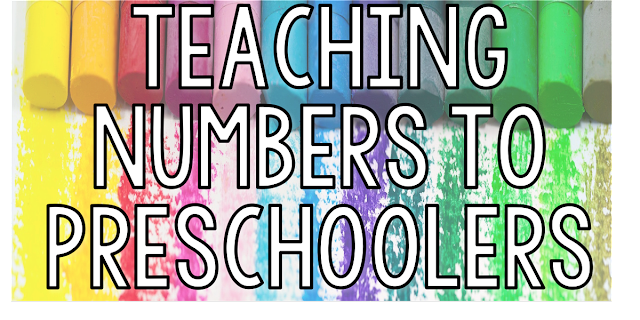 We dive deep into number identification, number formation, counting sets of objects, creating sets of objects, five frames, and ten frames. By the end of this 165 page unit, children are sure to have a solid number sense foundation. Keep reading to find out exactly what you get with this download. Don't stress about writing plans or figuring out how, or in which order to implement all these goodies. I did that hard work for you. All 19 days are thoroughly planned out and scripted for you! Hands-on learning is something I am super passionate about. 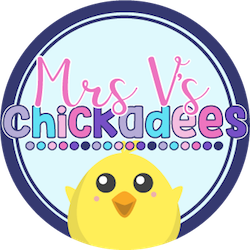 It makes learning fun and engages children of all abilities. 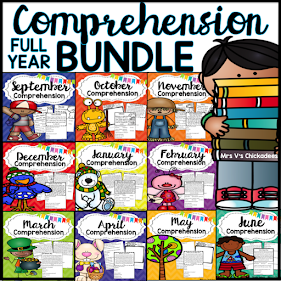 For that reason, this unit includes a hands-on component for each day.Your necessary supplies, prep and execution are all laid out for you in an easy to read format. 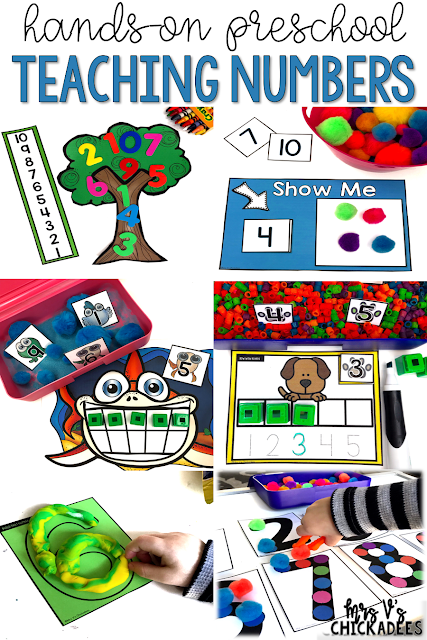 And since there's no such thing as too many hands-on activities, you also get four different learning centers. 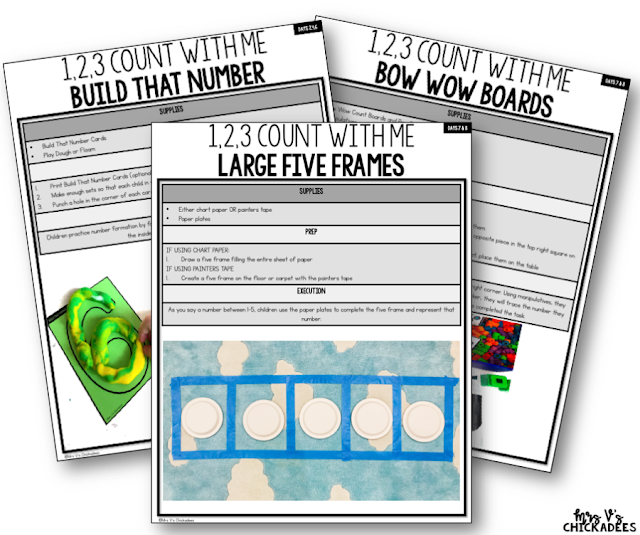 All 19 days of instruction come with a classwork and homework worksheet. 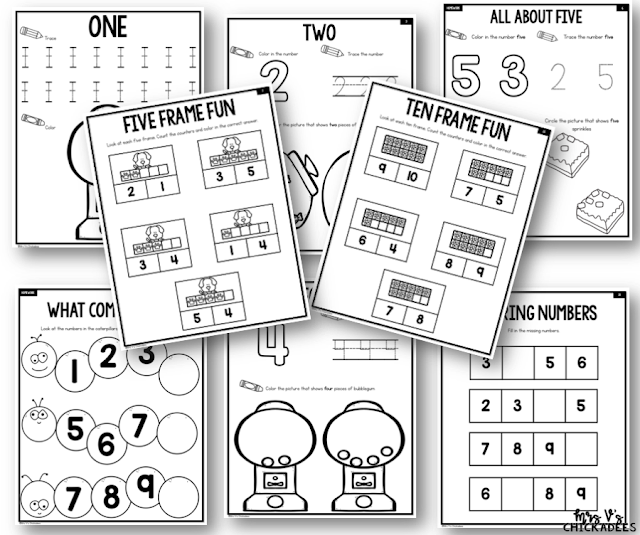 There are also additional supplemental worksheets to be used for fast finishers, intervention, sub packs, or however you want! 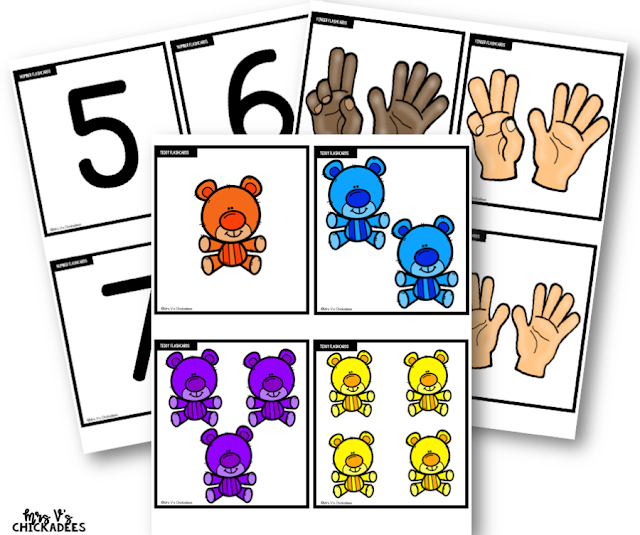 Daily warm-ups include the use of flashcards to help build fluency with number identification. 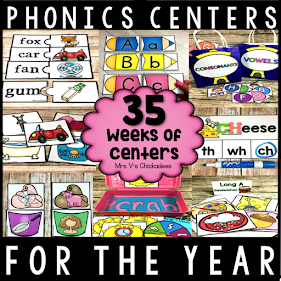 Options to include sensory bins come with many of the hands-on centers or activities. It's important to know how to get a pulse on individual knowledge and whole class success. 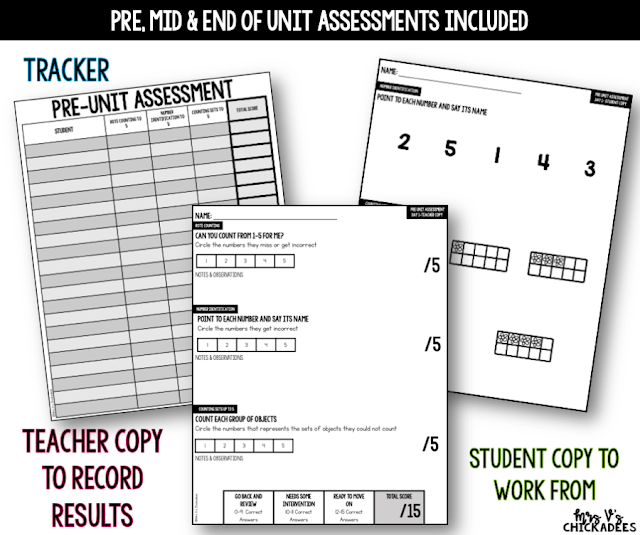 Pre, mid, and end of unit assessments allow you to track each individual's knowledge and growth. 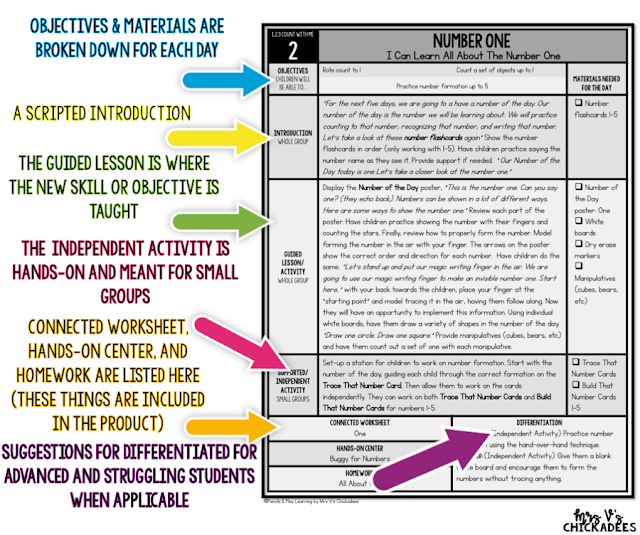 Quick guides on the bottom of each assessment help you to determine who is ready to move on and who needs intervention. 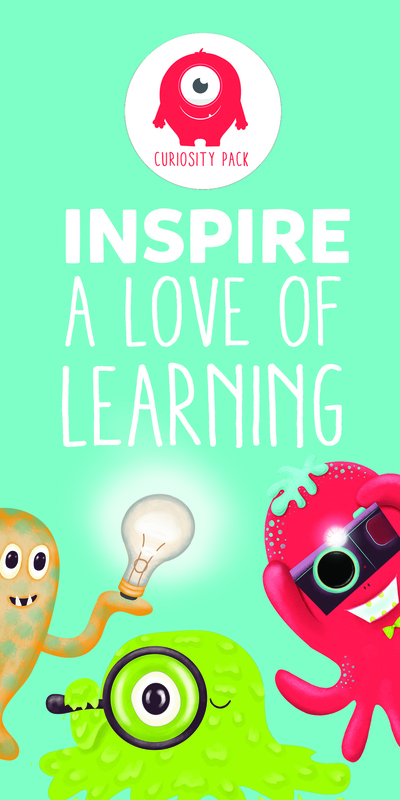 If you think this is something your students will benefit from, you can grab your copy here! And don't forget to save this pin so you can come back to this post later.